C-Fam, the Catholic Family and Human Rights Institute, is organising a petition to the United Nations. 10 December this year marks the 60th Anniversary of the Universal Declaration of Human Rights. Although article 3 of the Declaration affirms that everyone has the right to life, radical pro-abortion groups intend to present the UN General Assembly with petitions calling for a universal right to abortion. It is important that the Pro-Life petition gets as many signatures as possible. Go to International Call for the Rights and Dignity of the Human Person and the Family to sign the petition. Do also take a look at C-Fam. the "Friday Fax" has long been an excellent source of pro-life news and information. You can get it sent by email or subscribe to the RSS feed. The Ember Days and Rogation Days have been replaced in the new calendar with "Days of Special Prayer" for various worthy intentions. One of these is "Communications" - something of interest to bloggers and blog readers. There is a major "lead-in" to this. In the autumn, the Holy Father announces the theme; on the feast of St Francis de Sales (24 January), he issues a message; and then the World Communications Day itself is celebrated on the Sunday before Pentecost. Pope Benedict has just announced the theme for next year's World Communications Day:New Technologies, New Relationships. Promoting a Culture of Respect, Dialogue and Friendship.Is it really too far-fetched to suggest that he is at least partly thinking of blogging? Respect, dialogue and friendship - there are some themes on which we can each examine our conscience. Bishop Jaime Soto, the coadjutor Bishop of Sacramento, recently went to speak to the National Association of Catholic Diocesan Lesbian and Gay Ministries conference in Long Beach, California. At the website of the Diocese of Sacramento, you can read the full text of his speech. 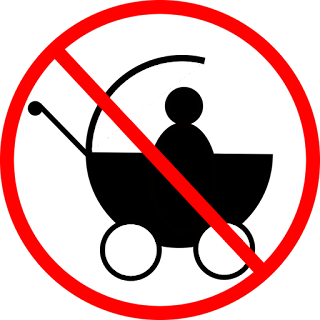 Clerical Whispers has an illustrated post on The Evolution Of The Popemobile. I expect that some would not wish this taught in schools since it is a theory rather than a fact - although the photos give some evidence of transitional popemobiles. I think one can observe here a new expression of apostolic mobility without any essential break or rupture with the past. Cardinal Hoyos preface to new edition of "The Ceremonies of the Roman Rite Described"
"the defining event of their whole Catholic lives"
Jeffrey Tucker is writing some excellent articles on what might be called the "politics" of liturgical music. In the piece Our "differing needs" are not all that matter, he looks at an article by Rendler-McQueeney who apparently writes a very popular column in the magazine "Today's Liturgy". 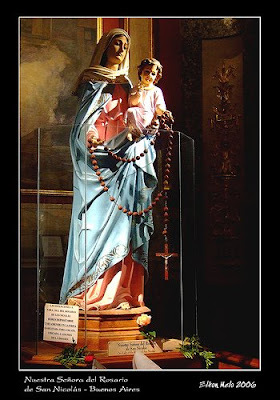 La Nacion from Argentina reports on the large numbers of pilgrims in Buenos Aires for the 25th anniversary of the apparitions of Our Lady of the Rosary to Gladys Motta in the Parish of San Nicolás de los Arroyos. Over 800,000 people passed through the Basilica to venerate the statue of Our Lady of the Rosary during the 24 hour period and 100,000 joined the outdoor procession and Mass. In this photo from La Nacion, you can see three Argentine Bishops wearing Marian blue vestments, a privilege allowed at major Marian shrines. There is more information about the apparitions at the Mother of All Peoples site. Last year I gave a lecture at Aylesford for the local Province of the Knights of St Columba on the Catholic response to secularism. They asked me to speak again this year and so this afternoon I joined them at the North Barn which the Friars have recently restored with the aid of English Heritage. The Knights wanted me to continue with the same theme, and more recently we agreed that it would be good to look at Bishop O'Donoghue's "Fit for Mission? Church" since it offers a wealth of practical suggestions for action which are relevant to promoting the mission of the Church in a secular society. Personally I was glad of the opportunity to study the document in greater detail. After giving some background information, I outlined the structure that Bishop O'Donoghue used and then took a few examples from the four areas of Liturgy, Revelation, the communion of the Church, and the Church in the Modern World. John Casey is lecturer in English at the University of Cambridge and a fellow of Gonville and Caius College. He has written an article "Rediscovering Traditionalism" for the online journal Open Democracy which I heartily recommend. This balanced introduction to the question would be suitable especially for an intelligent enquirer who was wondering what all the fuss was about. I am sure that most of us who have been engaged in this discussion will appreciate the accuracy with which Casey sums up the principal issues at stake. At Parkminster, the Carthusian monastery in England, I resumed today the course "De Deo Uno et Trino" (On God, One and Three) and we looked especially at the simplicity and the immutability (unchangeableness) of God. It was a great joy to meet and congratulate Dom Gregory Carling who was solemnly professed on the feast of the Assumption. I remembered today that since he was baptised in my parish, I must enter his profession in the Baptismal Register. I will consult the Rituale Romanum for the correct formula for this entry. My visits to Parkminster (fortnightly during the academic year) always conclude with Vespers, chanted according to the simplified Carthusian tones which are subtly different from those of the Roman office. We often hear about how discrimination promotes violence. Here is a real life example: Priest fights to stay alive after Da Vinci Code stabbing. An unbalanced man, Marco Luzi, 25, inspired by reading the Da Vinci Code, has stabbed Father Canio Canistri, 68, parish priest at the Church of Santa Marcella in the San Saba district on the Aventine Hill. Can we now expect that the Da Vinci Code book will be featured in diversity training across the EU as an example of how tendentious and prejudiced fiction can lead to physical violence? Will it now be banned from all responsible bookshops on the grounds of its flagrant and inflammatory misrepresentation of the Catholic Church? I am happy to pass on this announcement received today. The Rosary Crusade is probably the largest regular Catholic procession in England and is a wonderful occasion for prayer and witness to the faith. Procession from Westminster Cathedral to Brompton Oratory with the statue of Our Lady of Fatima and the 15 decades of the Rosary. Starting 1.45pm in the Cathedral piazza and ending at the Oratory with the solemn crowning of the statue and solemn Benediction. The preacher this year will be Fr. Marcus Holden. Enrollment in Brown scapular afterwards. This procession is offered for downfall of the HFE bill, so please come along in large numbers. There is a very interesting article published today at Catholic Action UK by Daphne McLeod. She argues that the root of the crisis in the Church is to be found primarily in the widespread religious ignorance of the truths of the faith and not primarily in the loss of the older form of the Mass. Daphne's article is a valuable contribution to this discussion because she certainly loves the older form of the Mass and attends it regularly. Hers is not an argument that in any way denies the beauty or the value of the usus antiquior. I think that her comments are timely, prompting us to take a closer look at the question of catechesis. The website of the Irish Bishops' Conference has recently had a major makeover and is worth looking at. It is interesting to see that this coming Sunday is "Priesthood Sunday". 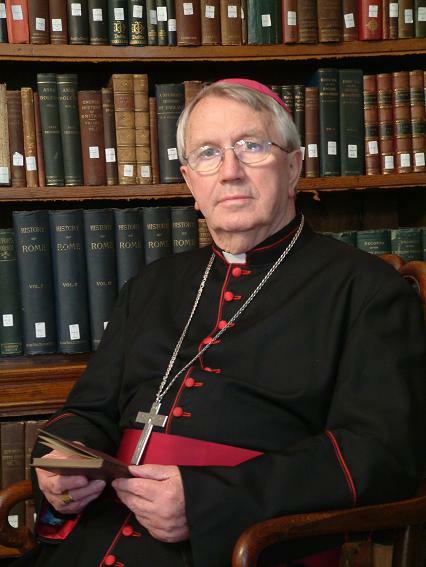 The CTS are publishing Bishop O'Donoghue's Fit for Mission? Church, which I wrote about at the end of August and (again the other day) with reference to Archbishop Piacenza's praise for the document. The CTS edition will be an expanded version, drawing on Pope Benedict XVI's addresses and homilies in 2008 at World Youth Day and during his apostolic journey to France; as well as the writings of John Henry Newman, and others. 104 pages, £8.95, available from 10 October 2008. Advance orders can be placed now at the CTS website. The blognic at the Buckingham Arms this evening was a great success. Bloggers Holy Smoke, Bara Brith and Mulier Fortis came, as did Anna Arco of the Catholic Herald. 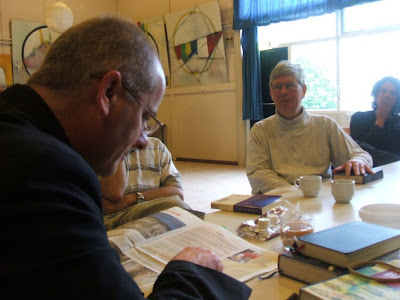 Frs Nigel Griffin and William Young kindly took time to join us as did a good number of readers, some of whom travelled specially for the occasion from Brighton, Cambridge and the outer reaches of the London conurbation. (My new phone takes great photos outdoors but in poor light it is of little use so I have shamelessly stolen photos from Fr Z who brought a real camera with him.) Sir Dan of the Nesbitry (above) was there. He met up with Damian Thompson whom he taught many years ago at the prep school Laelham Lea in Purley. Jonathan Hague (above) introduced me to the Buckingham Arms from his extensive knowledge of good pubs that offer traditional hospitality and real ale. 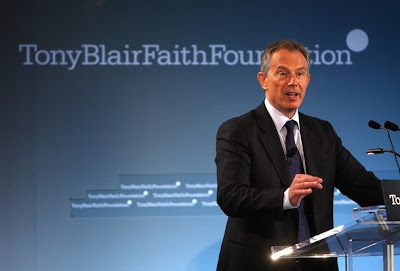 Johns Smeaton has a post today about Tony Blair's "exciting event" in Los Angeles under the auspices of his "Faith Foundation" (see Tony Blair is undermining the faith of the church into which he has been received. John repeats the call on pro-lifers to challenge Tony Blair on his political record on life issues. He wrote to the former PM in January about this and his letter summarises the key matters of concern. 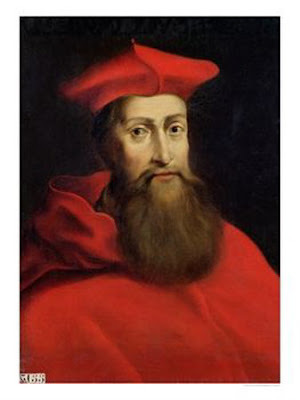 There will be a Solemn High Requiem Mass for the late Cardinal Pole at 6.30pm on Monday 17 November at Corpus Christi, Maiden Lane, 6.30pm. Fr Nicholas Schofield, Archivist of the Archdiocese of Westminster and author of the Roman Miscellany blog, will be preaching. Her Majesty's Treasury was the venue for my lunch last week as I was meeting a friend who works there. I asked my friend for his views on the current end of the world global economic meltdown and he reminded me that it was the 16th anniversary of "Black Wednesday" which demonstrated that with the huge amounts of money sloshing around the foreign exchanges, there is little that government intervention can achieve in these situations - a lesson that governments find difficult to learn. 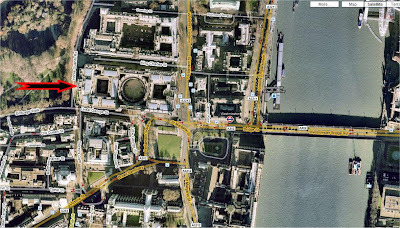 The Treasury has a "Multi-Faith Prayer Room". This is kitted out with a shower, prayer mats and sandals, and had separate rooms for men and women. I wondered whether perhaps "multi-faith" meant sunni, shi'ite and sufi but there was also a bible on a table in the corner of the foyer. Browsing in Waterstones the other day (I really shouldn't do that), my eye was caught by "How To Avoid Huge Ships, And Other Implausibly Titled Books". This is obviously intended for the Christmas market and not a bad entry in the field since it doesn't involve putting rude words on the front cover or attempting a lame parody of Harry Potter / Lord of the Rings / [fill in the blank]. 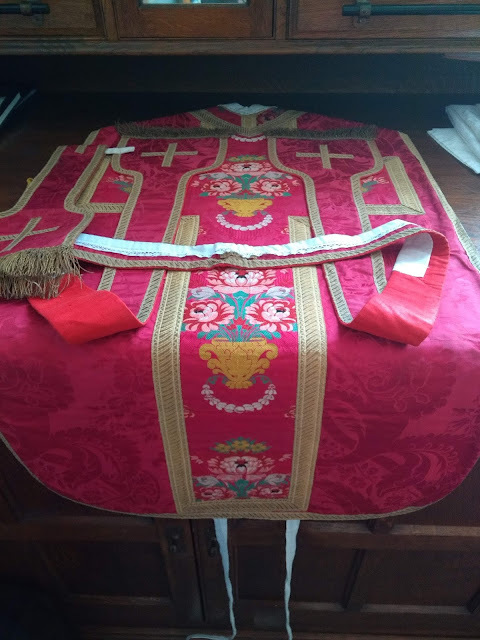 Fr Anthony Symondson recently wrote an article on NLM, questioning the revival of what has been called the "Borromean" style of chasuble. Shawn Tribe invited "serene" consideration and discussion of the issue. One very helpful (and duly "serene") response comes from Michael Sternbeck of The Saint Bede Studio in Australia, whose vestments the Holy Father wore for his Mass at St Mary's Cathedral in Sydney. See Styles and Tradition in the chasuble of the Roman Rite. There are further observations at the Rorate Caeli blog. Fr Z has already mentioned the London blognic. Everyone is welcome, and we especially hope blog owners will come. This is intended as a simple and informal opportunity for people interested in the Catholic blogosphere to meet up for a chat while Fr Z is in the country. The Conference is open to all priests. Deacons and seminarians are also welcome. Pro-life literature will be available. To help us with catering, please send an email to conference@apgl.org.uk if you are coming to the conference. There is no charge but donations will be welcome. The Oratory is next to the Victoria and Albert Museum. (Nearest tube station South Kensington.) Enter the courtyard in front of the Oratory House. St Wilfrid’s Hall is upstairs in the building on the left. Fr Anthony Ho is a priest in Vancouver in Canada. His blog is eminently pastoral, with sermons and talks for his people that are of value for anyone. He runs a Chinese RCIA class using a Chinese-English parallel text Catechism with lovely illustrations. Fr Charles Briggs, assisted by myself and Fr John Boyle, celebrated the High Mass at Aylesford today for the annual pilgrimage of the Latin Mass Society. Above you can see us framed by one of the arches in the surviving part of the old cloister. There were many groups at Aylesford today, including one with Fr Angelus of the Franciscans of the Renewal. Unfortunately I had to get back after a quick cup of tea and a sandwich after Mass in order to hear confessions in the parish. The Southwark Diocesan Unity Commission was there with Bishop Pat Lynch who kindly came over to have a chat with us before Mass. 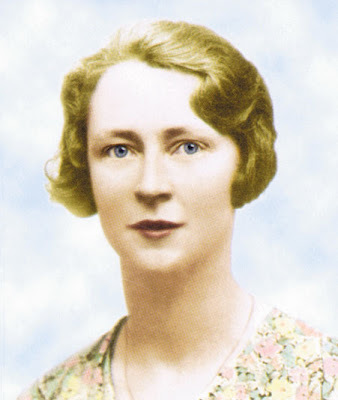 The Legion of Mary are celebrating Mass at Westminster Cathedral tomorrow at 2pm to pray for the beatification of Ven Edel Quinn. 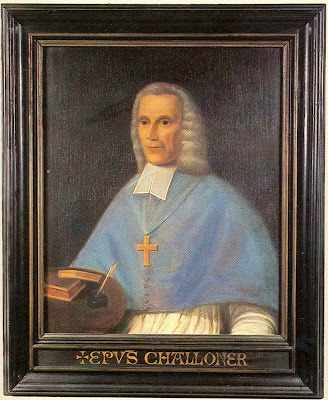 Confident, O Merciful Father, that her life was pleasing to you, I beg you to grant me, through her intercession, the special favour I now implore, [...] and to make known by miracles the glory she enjoys in Heaven, so that she may be glorified also by your Church on earth, through Christ Our Lord. Amen. Mike Forbester from Middlesborough has started a blog called Rudgate Ramblings. Mike organises the Rudgate Singers, a choir that aims to restore Sacred Music to it proper context in the Sacred Liturgy rather than leaving it to the concert hall or recording studio. They sing four or five times a year, usually but not exclusively, at Masses in the usus antiquior. 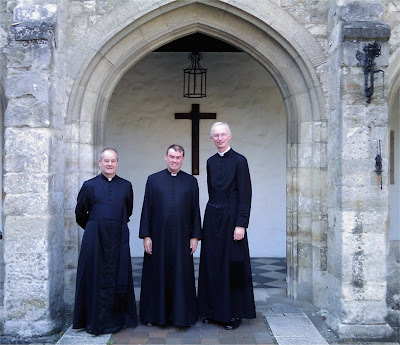 They recently sang at Mass at the solemn Mass at St Mary's, Newcastle (see Forest Murmurs report) and will be singing tomorrow at the Solemn Mass at Brinkburn Priory. Andrew Cusack has the best photo-post I have seen on The Pope in Paris. Andrew has worked hard to find the best illustrative photos and added his own customarily incisive commentary. Tomorrow I will be going to Aylesford for the annual pilgrimage of the Latin Mass Society. High Mass is at 1pm: Fr Charles Briggs will be celebrant, I will be Deacon and Fr John Boyle will be Subdeacon. It would be great to see you if you are in the area. There is a talk, Rosary, and Benediction at 3pm although I may not be able to stay for all of that since I have confessions back in the parish later. I always enjoy visiting Aylesford and believe that it is under-rated as a pilgrimage destination. The priory was founded in 1242, confiscated by Henry VIII in 1538, and purchased again by the Carmelites in 1949. It was the home of St Simon Stock who received the brown scapular from Our Blessed Lady. His skull is venerated in a special shrine and there are several representations of Our Lady giving him the scapular. There are chapels dedicated to the English Martyrs, to St Joseph (with scenes from the life of the prophet Elijah), to St Anne, and to the Carmelite saints. This is my new cassock from Gammarelli. 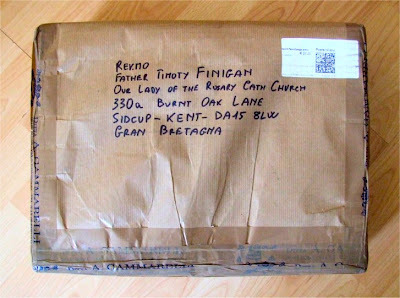 checking the receipt, I see that I ordered it on 2 May 2007 when I was in Rome. They told me that it would take about a year; every now and again I have been thinking "I must ring them up" but the arrival of the parcel means that is one less job to do. Puella Paschalis has posted this link to a collection of photos from the Bootcamp that I went to speak at in the Netherlands last month. 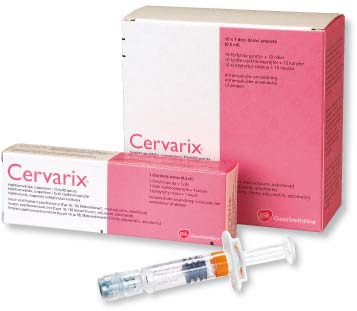 There is one where I am attempting to pronounce Dutch correctly with help from the students. They were very kind about my efforts. The vestment was made by a lady locally and was very fine. It meets the requirements set out by Fr Anthony Symondson in his article submitted to NLM questioning the Borromean revival where he reminds us of a decision of the Sacred Congregation of Rites that'a chasuble may reach a little below the wrists, or a little below the shoulder, but not in between. 'Personally, I quite like the Borromean chasuble and all things Borromean but it is good to know that the chasuble I was wearing met the strictest standards. 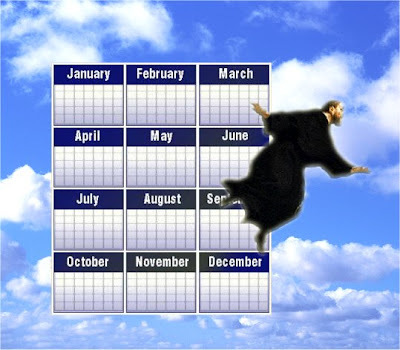 So why is St Joseph of Cupertino not in the General Calendar any more? Here is the text from the commentary on the Calendarium Romanum Generale of 1969 which was drawn up by the Council for the Implementation of the Constitution on the Sacred Liturgy:Memoria S. Iosephi de Cupertino (d. Auximi, anno 1693), anno 1769 in Calendario romano ascripta, Calendariis particularibus relinquitur, quia non agitur de Sancto "momentum universale revera prae se ferente". Some time back, I downloaded the (59Mb) pdf of Challoner's Garden of the Soul. Years ago I had a lovely small copy of this devotional work and still hope that it is somewhere around and that I will find it again. Looking up something from the electronic copy for a friend, I clicked through what Challoner says about how to hear Mass devoutly. I was struck by what he said about the silent Canon:After the Preface follows the Canon of the mass, or the most sacred and solemn part of this divine service, which is read with a low voice, as well to express the silence of Christ in his passion and his hiding at that time his glory and divinity, as to signify the vast importance of that common cause of all mankind, which the priest is then representing as it were in secret to the ear of God; and the reverence and awe with which both priest and people ought to assist at these tremendous mysteries. 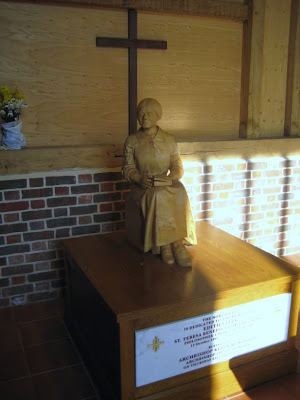 In the local calendar for Southwark, today is the feast of St Edith of Kemsing (where she was born), often known also as St Edith of Wilton (where she was a religious). Actually, we call them "mobile phones" in England. The Mulier Fortis told me that mine must be due for an upgrade so the other day, while on my way to pick up my recovered backup hard drive (that's right - the backup failed!) I popped into the T-Mobile shop in Eltham. This is always fun because I am one of their best customers. My SIM card still has "One to One" on it, demonstrating that I have been very loyal (mainly through inertia, actually). 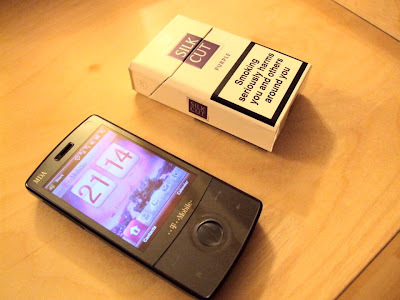 Unlike the banking industry, the mobile phone industry rewards such loyalty. 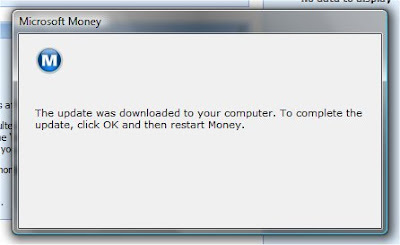 I asked whether I was due for an upgrade. Excitedly, "Sylvia", a charming young African lady, said that I was indeed due to get a new phone on special terms. She looked up tariffs, brought out demo phones and took me through all the options until I decided that the MDA Compact IV would be a nice phone to have. So what deal could be done? Diane at Te Deum Laudamus sent me a link to this video, produced by Grassroots media, the company that produced "God in the Streets of New York" and "Fishers of Men". It makes the important point that while there are many important issues in an election, some, such as the sanctity of life and the protection of the family, are more important than others. 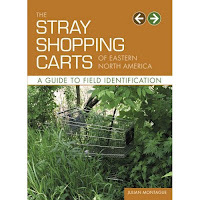 Of course this will be of more immediate interest to readers in the USA but I would suggest that something of this sort would be helpful for the next General Election in the UK - something that would appeal to voters in Britain where there is perhaps a more cynical electorate. I was sent a link to this video today which shows the Papal motorcade in Paris. The commentary is in French so if you don't understand French, just go to 1'32" to see the banner which reads "Thank you Most Holy Father for Summorum Pontificum"
Most of the commentary is given by a woman journalist who gives an excellent summary of the effect of Summorum Pontificum and of the issues raised by it. She even makes the fine point that the term "extraordinary form" is a juridical one and that the Holy Father has made it clear that there is no contradiction between the two forms of the rite. On mutual enrichment, she says that the older form could benefit from more prefaces, and that the newer form can benefit from the understanding that the Eucharist is not the assembly of one community but an act of the whole communion of the Church, and an act of adoration of God. Mark Armitage, a lay Catholic academic writer, living in Durham, contributes occasional essays to journals such as The Thomist, New Blackfriars, Nova et Vetera and The Chesterton Review. He recently started a blog calledJoe versus the volcano. The blog aims to present perspectives on theology, church-life and politics from a conservative Catholic perspective. 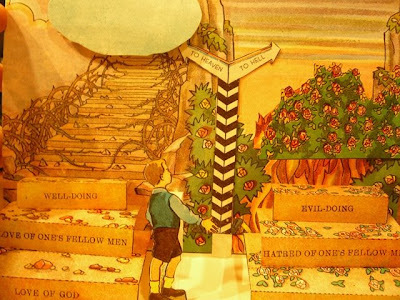 As he explains, the title is taken from the Meg Ryan and Tom Hanks film but "Joe" could refer to Joseph Ratzinger, warning us gently away from the destructive force that could sweep away life and civilisation. 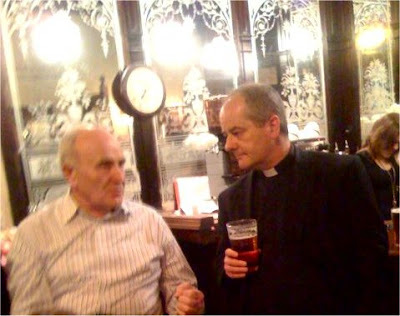 Laurence England, a parishioner of Fr Ray Blake at St Mary Magdalen's, Brighton, has recently started a blog called That the bones you have crushed may thrill (ponderings of a Catholic layman) which is well worth a look. A petition has recently been started by Miss A Burt. It reads:We the undersigned petition the Prime Minister to deny any extension planned for the 1967 Abortion Act to Northern Ireland, as we believe in the right to life.There is an opposite petition, supporting the extension of the abortion act to Northern Ireland so it would be good to get plenty of signatures. H/T to Tony from The Muniment Room for this video of a group of young men who stood on the steps of the Cathedral at Neuquén in Argentina to protect it from desecration during a demonstration by pro-abortionists. You can see them calmly praying the Rosary despite being insulted and spat upon. Francisco José Fernández de la Cigoña describes how the bishop went out to remonstrate - with the guys praying the Rosary! 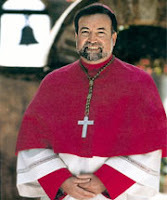 His post is Unos jóvenes valientes que pasan de un obispo cobarde but I should warn you: although my Spanish is not good enough to understand the various colloquialisms about pantaloons and intestines, it is fairly clear that he is not very complimentary about the bishop. Yesterday was a full day - 9am Novus Ordo, 10.30am Missa Cantata, two Baptisms, then on to Vespers and Benediction at the London Oratory, followed by the launch of the journal Usus Antiquior (and then on to Wonersh to be ready to lecture this morning). Above you can see Fr Z's photo from the sanctuary during the preparation for Benediction. the Liturgy of the Oratory is still, in Faber's words describing the Traditional High Mass of the Roman Rite, "The most beautiful thing this side of heaven" and I never fail to be moved by it. When I was young, I used to attend occasionally. In those days, I did not know the Fathers of the Oratory. Now I know many of them and count them as good friends - but in the Liturgy, their personality is subsumed into the sacred action and it scarcely matters which of the Fathers are acting as Sacred Ministers. It is so emphatically not about "me the celebrant" but the humble and awe-filled worship of Almighty God.